Last spring, I spent 10 days exploring the water, canyons, slots, and mesas of Glen Canyon. One of my fondest memories was taking my friend and his 70-year old parents on a little bit of a day hike. I didn’t divulge all of the details of the hike – I was too afraid they wouldn’t come. But I did scout it the day before, so I knew what I was leading them into. So I sold them on things like “incredible beauty!” and “fantastic sand!” and “smiling lizards!” and other flowery descriptions of landscapes that indicated nothing but sheer awesomeness. It turns out that swimming a deep and shady slot canyon filled with freezing cold water, followed by a twisty walk where body contortions were required to go from points A to B to … Z, was the right amount of adventure for an American Senior Citizen. Boy, will my friend’s mom have something to tell her book club group back in New York City. People do this because they want to live an intentional life and enjoy the unexpected benefits of taking intentional risks where the outcomes are unknown. This is a particularly difficult thing to impress upon both youth, and seniors. 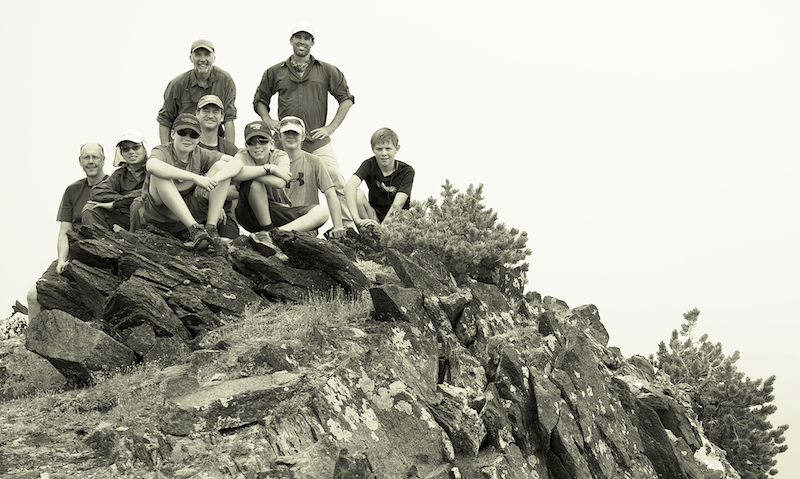 My experience as a Scout leader tells me that if you leave a group of boys to their own devices, and allow them to plan some sort of activity without restrictions, I can almost assure you that the activity would include a cabin with electricity and a wood stove vs. a remote trek in a wild place. So, as a leader (guide, Scout leader, father, husband, etc.) you sometimes have to offer a framework in which the people you are leading are stretched a bit – so they have that opportunity to experience that beautiful thing I call quite simply exploring your wild side. As a wilderness guide, this is the part I love the most. I have developed a reputation amongst my clients (at least, my repeat clients – ha ha!) of providing experiences that are completely unexpected. I really, really like this part of guiding. And, I really like the clients that come back a second (or third, or fourth…) time – these are the ones that crave the growth that intentional living reveals. My wife and I reviewed most of our photos from 2012 this year, and she kept gravitating back to one. 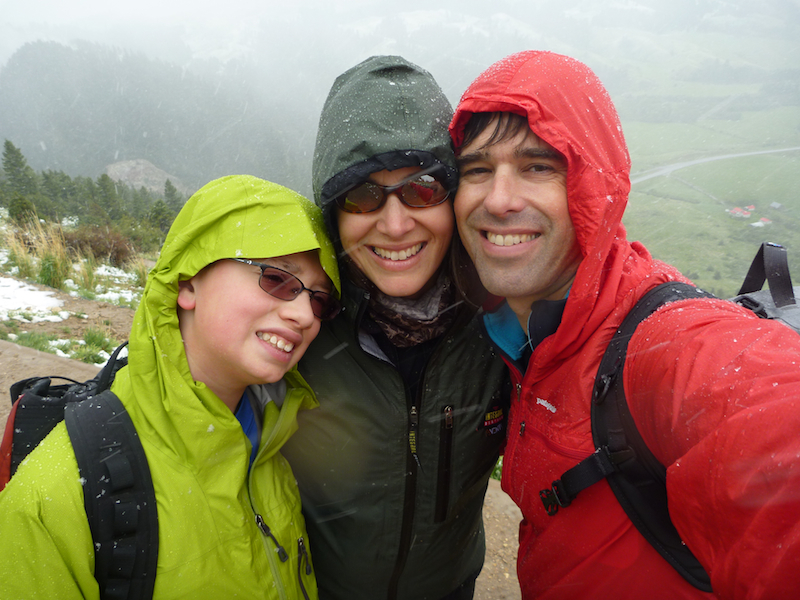 It’s a picture of our family hiking in the snow in May. I looked at the photo and remembered being cold, and wanting a hot cup of coffee back at the car. She looks at the photo and remembers how incredible it is to feel alive out in the hostility of a wild place. But this is what we like to do, so we don’t allow the weather to negotiate with us (very much). We know that making the intentional choices to pursue our passions comes with a bit of risk in what might be revealed when things don’t go how we expect them to go. Therein lies the beauty of living with intention. It’s not about what you are able to control, but about jumping into an unknown abyss and being excited for what will be revealed in the end. Last year, our troop’s high adventure expedition was to be a hard one. We were doing a traverse of the Spanish Peaks, which are steep. We had days where we climbed several thousands (that’s plural) of feet per day in elevation. That’s a hard sell to a youth culture addicted to video games and easy living. Only five kids in a troop of twenty signed up for the trek. Some will argue that we pigeonholed our high adventure program into an experience that excluded (by nature of their “interests”) most of the kids in the troop because of physical ability, personal preferences, or skill level. We planned and offered something big so the quality of adventure was preserved for those that wanted it, rather than something small for all that provided a more diluted experience. …by choosing instead, to take it easy. And by not living an intentional life and seeing what’s beyond that next pass. Five thousand feet of elevation gain leads to this lonely spot, where these five young boys (and a few parents) found something they didn’t quite expect, but celebrated nonetheless. If you’re in a position of leadership, consider what you do to provide a framework that allows for these unexpected paths of self-discovery. All you have to do is trust that the outcomes will be what they will be, and that your character is revealed in how you respond to them (for better or worse, right – but heck, who of us willfully admits to “bad” character – we all want our character to be developed and revealed, no?!). In Scouting, we just call this “being Brave” – the tenth point of the Scout Law. Choosing the lower trail, the easy trail, the sanitized trail, the trail where you control everything – this is quite the opposite of bravery, is it not? Trust what these experiences might have in store for you, and pursue them with intention. You just might like what is revealed.